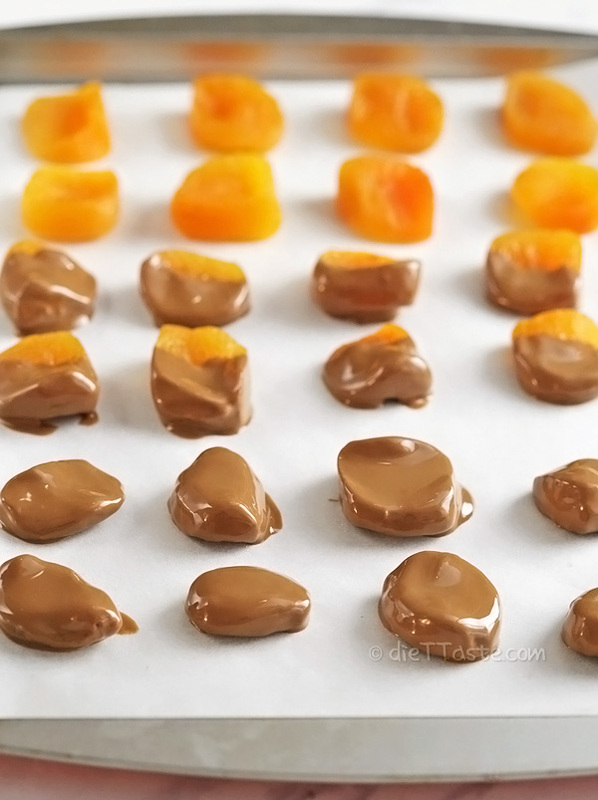 Chocolate Covered Apricots – super tasty, natural candy with healthy ingredients only! Recently, in a shop near my home, I bought some chocolate covered fruit like plums, figs, cranberries and apricots. I liked it more then I expected. Since they were pretty expensive, I thought it should not be too complicated to make it myself. Actually, it is the easiest dessert ever. 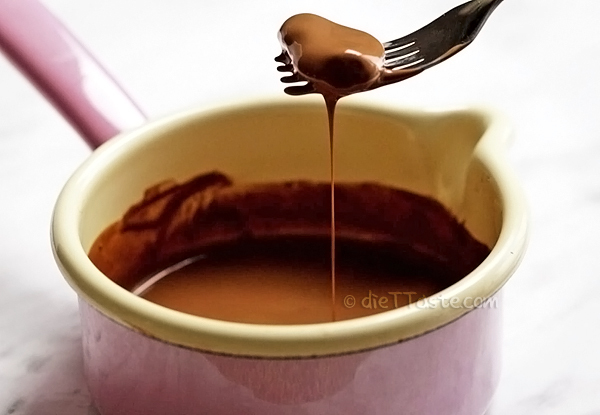 I melted some chocolate (both dark and milk chocolate work fine) with a little bit of vegetable oil. I used sunflower oil and I think that other types of odorless oils, like canola/rapeseed oil, should work fine as well. I’m not sure about coconut, olive or peanut oil. Use them if you don’t mind the scent. 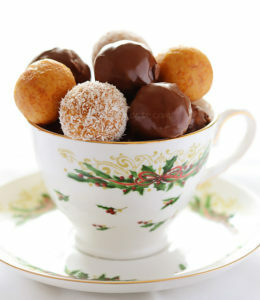 Apricots can be half dipped or totally submerged in melted chocolate – it’s your own choice. When chocolate cools down and hardens. 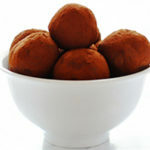 you will get fantastic natural candy, full of nutrients and healthy ingredients only. 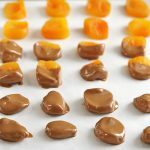 Chocolate Covered Apricots can be kept in a sealed container for at least two weeks in a fridge or can be frozen as well. You can thaw them before eating, or not – if you enjoy frozen desserts. 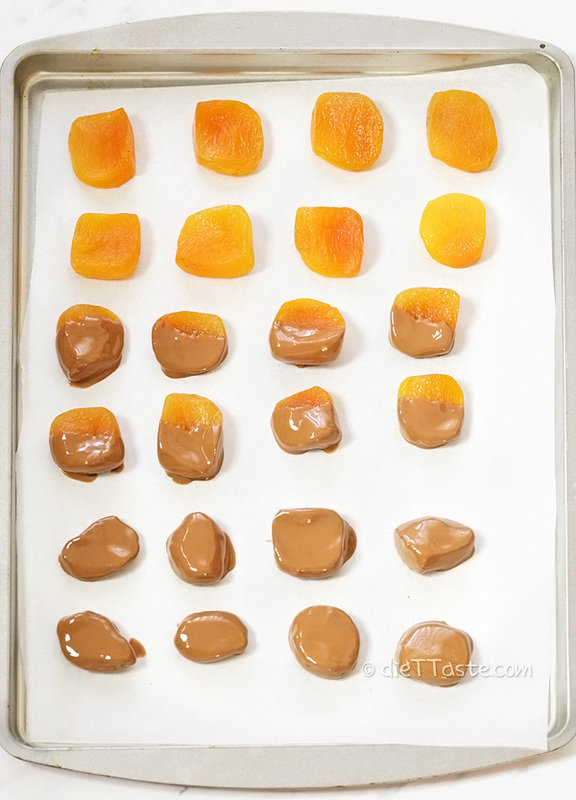 Chocolate Covered Apricots - super tasty, natural candy with healthy ingredients only! 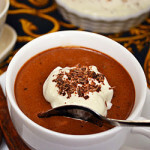 Melt chocolate, mix with oil. 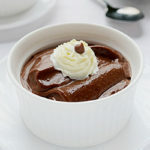 Dip an apricot into the melted chocolate and put on a tray covered with baking paper. Let cool until chocolate hardens. Repeat with remaining apricots. 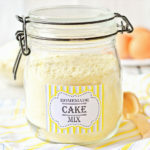 Keep in a sealed container for 2 two weeks in a fridge or 3 months in a freezer.